Wouldn’t you like to know about a problem before it becomes a disaster? Of course you would. Being forewarned allows you to prepare and protect yourself. 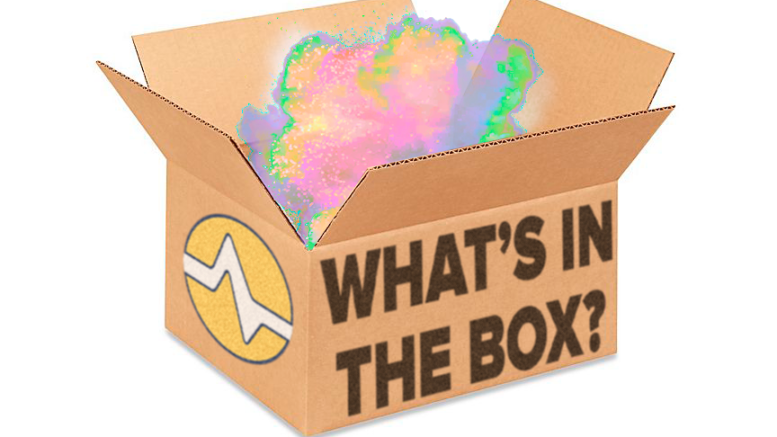 The product in this week’s Mystery Box gives you a warning before certain disasters occur. This makes these convenient devices perfect for your home. Because these units are affordable, you can even get a few for different rooms. Do these clues give you an idea of what this week’s mystery product is? Introducing the water leak sensor from General Electric. These devices sound an alarm whenever there’s a water leak in your home. You simply peel and stick these water leak detectors anywhere where leaks and flooding could become a problem. For example, many people who purchase these GE leak detection devices for their bathrooms, basements, and laundry rooms. You can also place one of these flood detectors next to your hot water tank, which is a good idea. These useful units sound an alarm when the leak is small. This gives you plenty of time to stop it before your home suffers expensive water damage. Maybe you’re reading this and wondering, “How would I install this water leak alarm?” Sure, we said the device features a simple peel-and-stick installation, and it does. There are still things you must do to mount it properly. These devices consist of two major parts: the octagon shaped base, and the sensor, which looks like a two-pronged plug at the end of a cord. For best possible results, we recommend hanging the base high enough on the wall to allow room for the cord to fully extend. The sensor contacts should point downward, touching the floor, to allow it to detect water accumulation. As you can see, these water leak alarms are easy to install and maintain. The best part abFind location where water can accumulate. Mount both alarm and sensor to a flat surface, such as the wall. Remove protective paper from double-sided tape. Position the back of the alarm unit, remove protective paper, and press base against the surface until it adheres. As you can see, these water leak alarms are easy to install and maintain. The best part about them is the peace of mind you’ll get when you have them in your home. If you don’t hear the alarm go off, you have nothing to worry about. If it does beep, you’ll have plenty of time to clean up any excess water and get the problem fixed. This could save you thousands or more on costly repairs, and helps prevent the spread of mold, in some cases.